If you're in the market for a new budget smartphone, then Microsoft's latest announcements may be right up your street. After accidentally revealing details of the Lumia 640 and Lumia 640 XL yesterday, Microsoft has officially released details of its new budget smartphones. Both phones effectively replace last year's Lumia 630 and Lumia 635, with the Lumia 640 XL becoming Microsoft's first budget phablet. The two handsets feature a quad-core Snapdragon processor running at 1.2 GHz – pretty snappy for a budget smartphone. They'll also come with 1 GB of RAM and screens with a resolution of 720p. Microsoft has also said that these smartphones will be able to run Windows 10 when is released later this year. It remains to be seen what impact that has upon the snappiness of the two smartphones. The major difference between the two smartphones is that the XL comes with a 5.7 inch screen and a 13 megapixel Zeiss-lens camera. 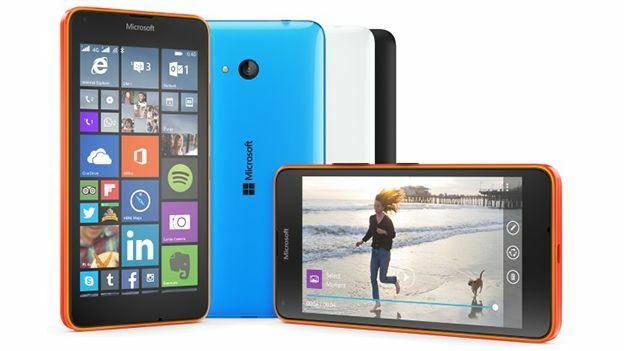 That compares to the regular Lumia 640's 5 inch screen and eight megapixel camera. Both of the phones come with a one-year subscription to Office 365 Personal Edition. “Our newest Lumia devices build on our momentum in the affordable smartphones space,” said Jo Harlow, corporate vice president for phones at Microsoft. Despite a big bump in specs, there doesn't appear to be a big bump in price. Microsoft has not yet announced what each phone will cost in the UK, however they have said that the Lumia 640 will start at €139 (£101) while the 640 XL will start at €189 (£137).